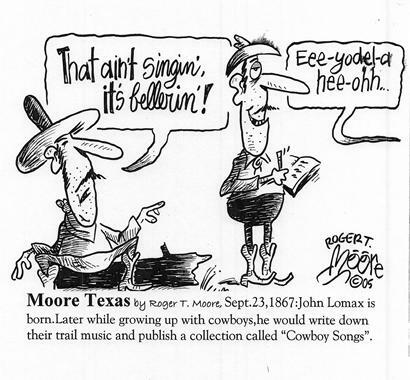 John Lomax Cowboy Songs collection. Sept.23,1867: John Lomax is born. Later while growing up with cowboys, he would write down their trail music and publish a collection called "Cowboy Songs".